Yellow like taxi Lexus IS mk1 from New York. 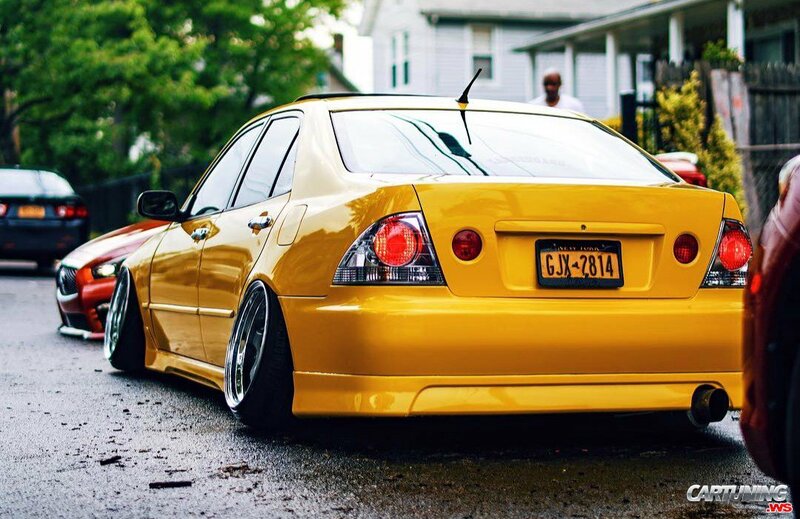 This IS has modified lowered suspension and big wheels in hellaflush. Hellaflush is main detail in look. Body kit is secondary.